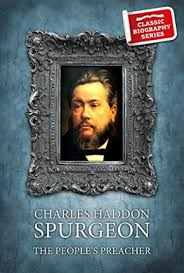 Charles Haddon Spurgeon occupied a unique position among preachers of his era for more than thirty years. He delighted to speak of his conversion in a Primitive Methodist chapel in Colchester on Sunday morning, December 15th, 1850 from the text “Look unto me, and be ye saved, all the ends of the earth”. C.H. Spurgeon later wrote, “Oh, I looked until I could almost have looked my eyes away, and in heaven I will look on still in my joy unutterable”. His spoken and his written ministry have proved to be, in the language which he often used, “like apples of gold in pictures of silver”. He was marked by a strong vivid faith and large hearted benevolence.